America's Cup. What's the use? 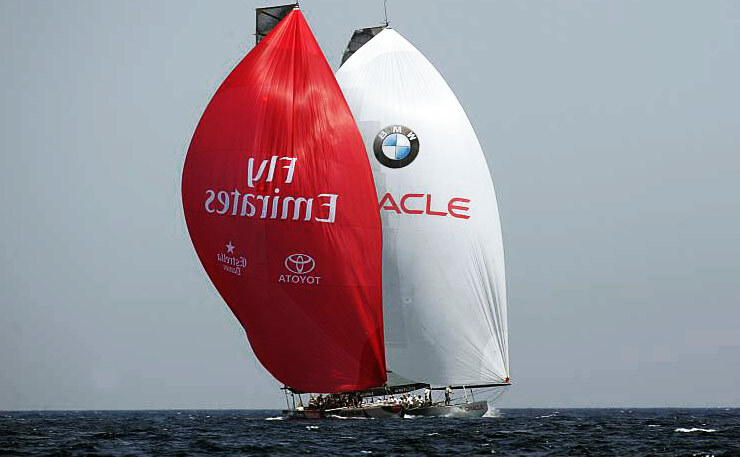 The America's Cup is by no doubt the biggest sailing event in terms of media coverage. It is the event that most non-sailors would cite when asked about sailing. For sailors it is the oldest match race event in the world. It is probably also the thoughest becasue it attracts the best sailing talent in the world. But what does America's Cup really mean for the sport of sailing? To name a few benefits of the Cup; it provides a public awareness for the sport, creates jobs for sailors, attracts sponsors to the sport, allows development and testing of new materials, directs lots of money to the sport. This all sounds great but I still have my doubts. Surely the Cup attracts people's attention and creates lots of jobs and basically a market of its own. But most of this stays limited with the Cup itself. I have to keep asking myself, what is the real benefit to the sport? Does the Cup support new and upcoming talent? Not really. Does it help us increase the number of sailors around the globe? Maybe just remotely. Does it really make sailing more popular? In contrast, I think it portrays sailing as the "rich man's" sport. 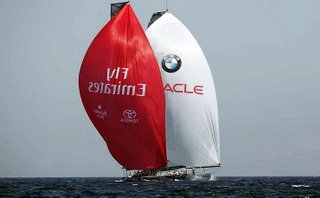 Don't get me wrong, I don't think America's Cup is not a good thing. I'm just thinking that it could provide much more to the sport then it currently does. I mean it is just ridicoulus that the budget of a Cup syndicate soars around 20-50 million dollars. Think what one could do with all that money for sailing? How many Optimists you could buy, or how many athletes you could support for their Olympic campaign, how many TV shows you could produce. Obviously it is America's Cup that attracts this type of money and it wouldn't be there for the things that I just listed. But, here is the idea: Let each America's Cup team spend 1% of their budget really for supporting sailing and sailors; let them sponsor one or two Olympic sailors, buy few Optimists for their local club, take couple of youngsters on board....let them do something more for the sport! I'm a turkish born sailor, currently living in Switzerland. I sail as much as I can, trying to stay competitive. I sail mostly dinghies, participating both at national and international regattas, but recently decided to shift my focus to match racing. This blog is part of that decision. Here I plan to share my experience on the circuit and circulate some ideas, resources, and fun stuff on match racing.